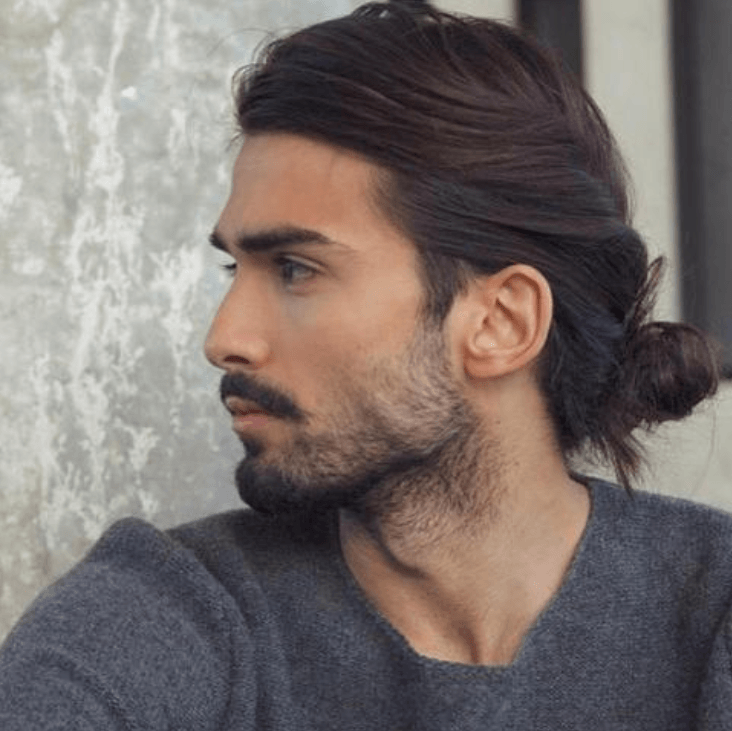 Looking for the most popular ponytail hairstyles for men? 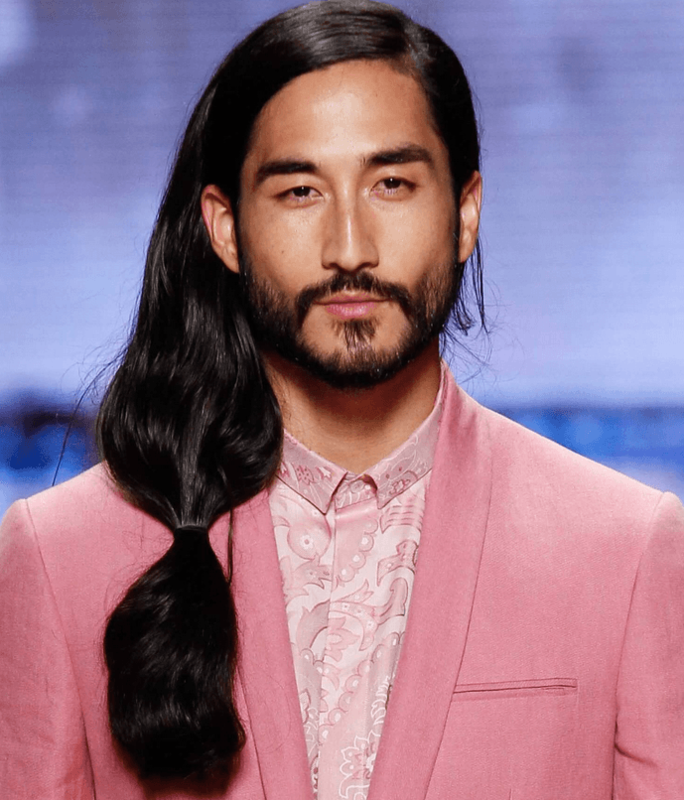 Long hair on men is now gaining more popularity. 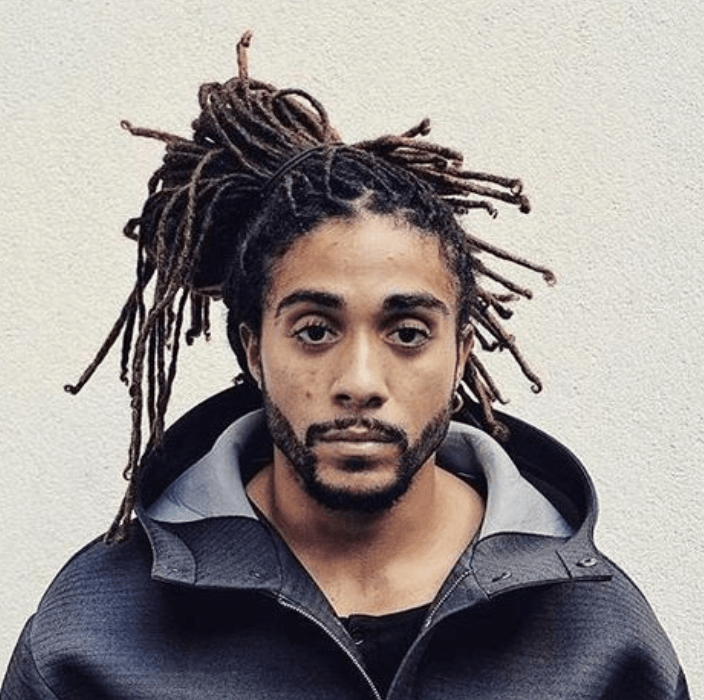 Guys from different professions and walks of life let their locks grow as this style makes any man more attractive. 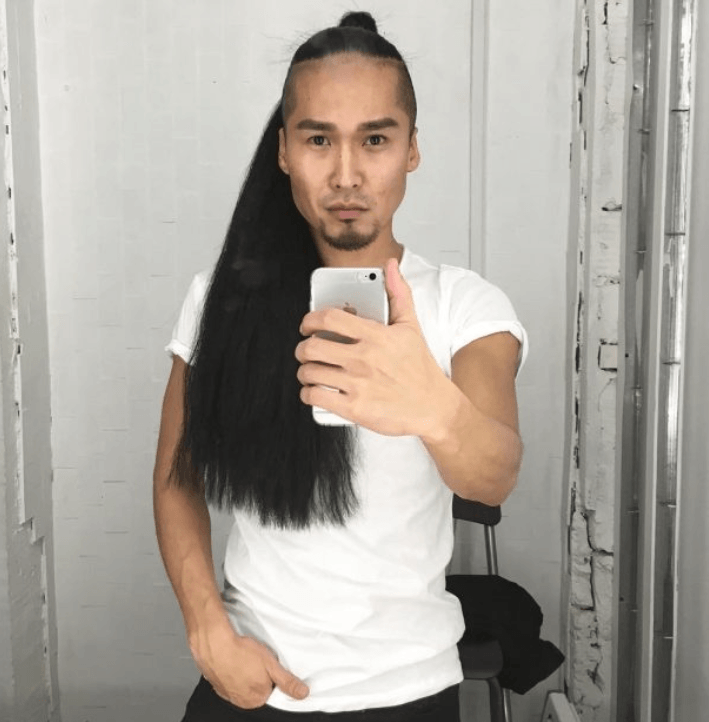 In addition to the obvious fact that most women like men with ponytails, these hairstyles provide a quick and simple alternative to styling and blow drying long hair. 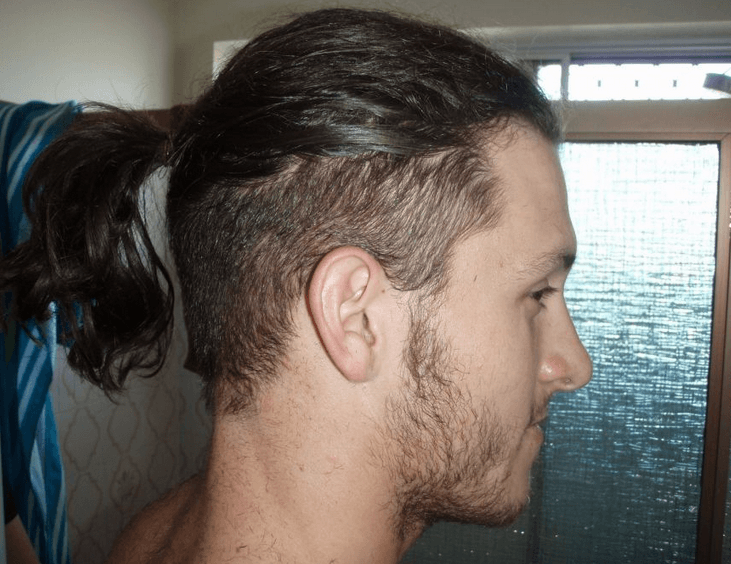 Although ponytail is similar to half ponytail or man bun, it is not gathered up in a ball. 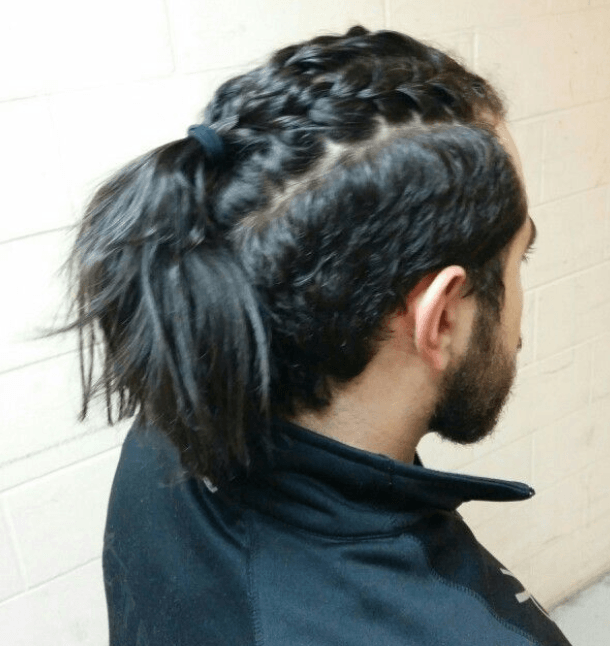 However, you can always be creative when it comes to ponytail styles for men. Learning how to do a ponytail is simple. You just need to collect your hair and tie at the top or base. If you have long hair and you want to find a great ponytail style to pull off, check out these amazing hairstyles that choose one that you find attractive and adoptable for your hair type. 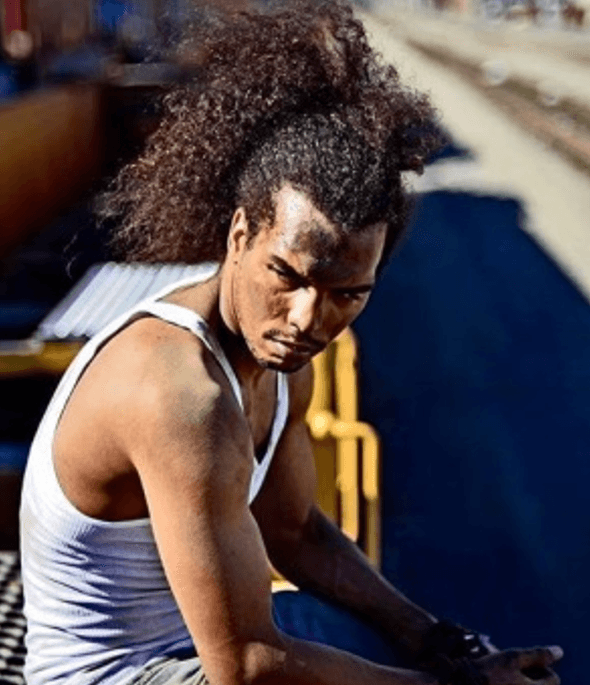 Keeping your curly hair long may get in the way sometimes but one of the best ways to control your hair is by keeping them together on the top of your head. Allow your natural curls to create a style for you. You can also accentuate the style by adding bright color underneath. If you have naturally curly or wavy hair, try this one out! You can also add some facial hair to complement with the style. 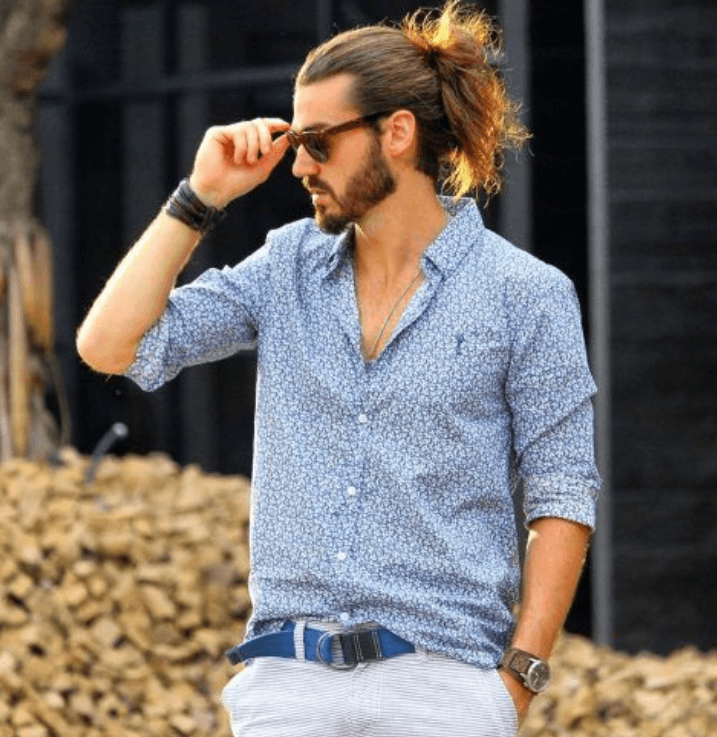 Twist-In Bun is one of the best and simple ponytail styles for men that you can try for casual or formal wear. You can easily copy this hairstyle by creating two sections. Divide and twist them loosely and combine them into a low pony. Twirl it in to make a sloppy knot, allowing the tips to stick out. Here is another cool ponytail style that can highlight your facial features as well as your hair color. In this photo, we see dark brown hair that has been collected up and held in a high ponytail. Some strands have been tucked behind the ears for additional texture and manly appearance. If you also have a tattoo, here is a brilliant way to show it off. 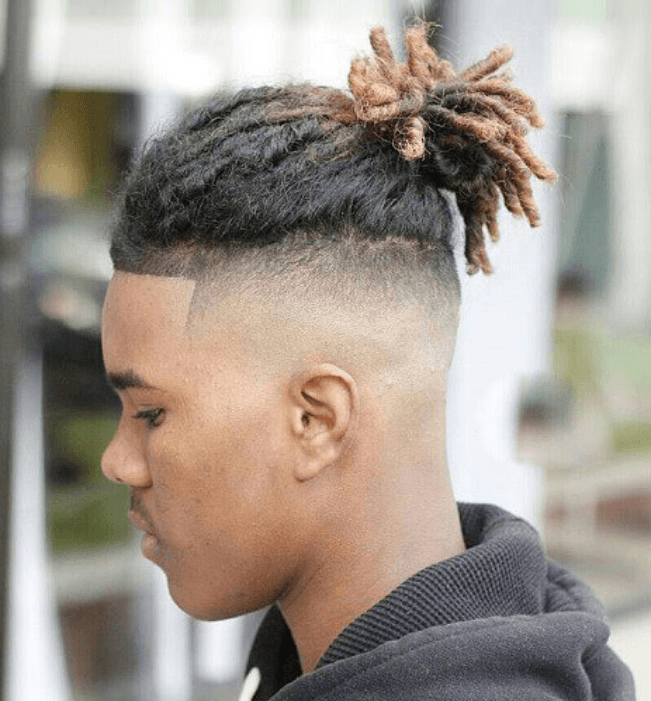 You can easily achieve this hairstyle if you have naturally straight hair. You can also have it relaxed and the bright color is perfect for summer vacation. In this hairstyle, chestnut brown has been applied for the base and dark ash blonde highlights were added. The hair has been collected in a loose manner and secured at the back. 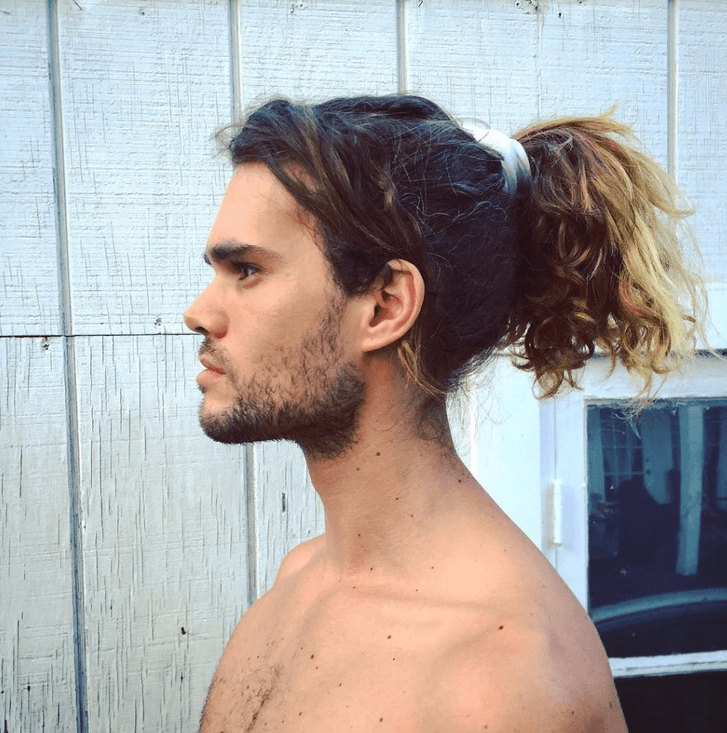 One of the best ponytail styles for men is the messy one. In this photo, the model has layered haircut, which allows some strands to fall around the head while the rest of the hairs are secured at the back. This messy ponytail creates an appealing look that many women would fall for! If you have a layered haircut, this style might be the right one for you! If you have short hair but long enough to tie your hair, you can try this hairstyle for a refreshing and sharp look. In this style, the hair is brushed back and exposes a high undercut. You can copy this style by simply pulling your hair into a high ponytail and you’re ready to rock this hairstyle anywhere you go. When it comes to ponytail, there is no need to secure all your locks at the back of your hair. You can always leave some of your strands above your shoulders just like the hairstyle. 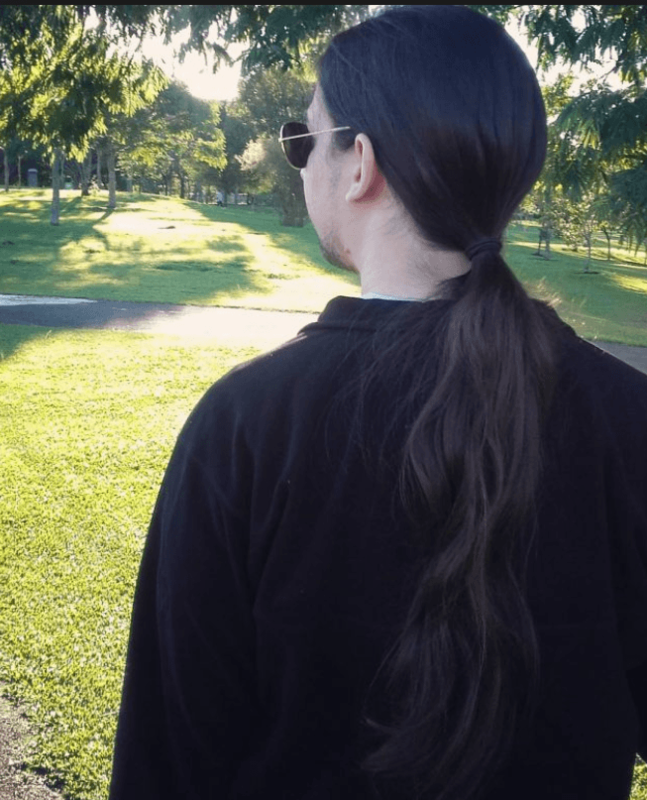 In this photo, only half of the hair has been tied at the back while the rest are combed down for a more masculine look. You can also couple it with some facial hair to complete the style. Here is another awesome ponytail style that you might want to give a try before you hit the beach. This hairstyle has summer written all over it. You can achieve this by creating two French braids on top, parallel to each other. Secure those in a loose bun at the back and you’re done! This style is perfect for summer getaways. If you have curly hair, here is a cool hairstyle that can let you show off those natural curls. You can keep those hairs out of the way by pulling them back and cover with a dark colored hairband or bandana. Those curls secured at the back are beautiful enough to create a stunning view. 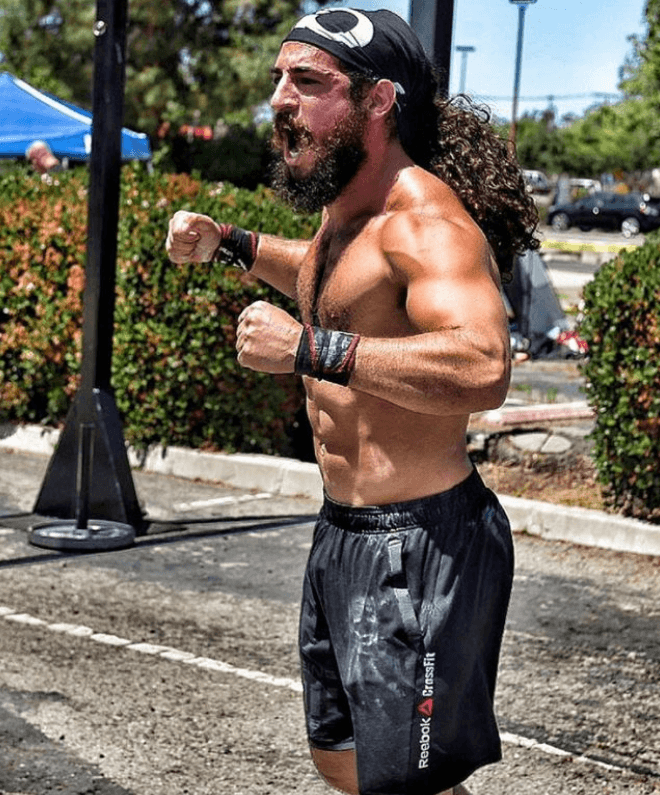 Like other hairstyles, mass of curls can also be coupled with long beard. Another excellent ponytail hairstyle for your next travel destination is the amber style. You can achieve this by having amber highlights over the top sections of your hair. Collect the top part and tie it at the back to give emphasis to the bright color. Allow the rest of your naturally curly hair to go well with this hairstyle. This hairstyle displays straight and shiny tresses that have been collected loosely at the back. 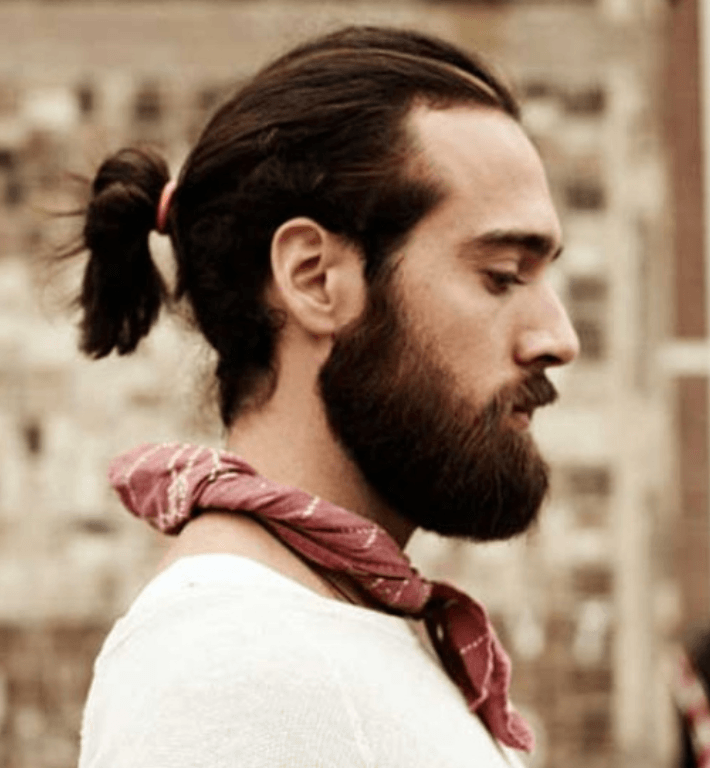 They are folded into a messy top knot, creating a more masculine appearance. The undercut style is hidden by loose strands that are tucked neatly behind ears. This ponytail style is perfect not only for casual wear but also for formal gatherings. In this hairstyle, the long hair has been dyed in different shades of honey and blonde. It has been straightened and combed back to create a clean ponytail. The Long Pony is one of the simplest hairstyles that you can try and it does not require a lot of time to pull this off. This dark hair in high pony style gives out a smart look. You can copy this style by brushing your hair back and secure them into a high ponytail that sits high on your crown. Allow some of your strands to fall around your head. Couple it with some facial hair and get ready to stand out among the crowd. This hairstyle is suitable for both formal and casual wear. 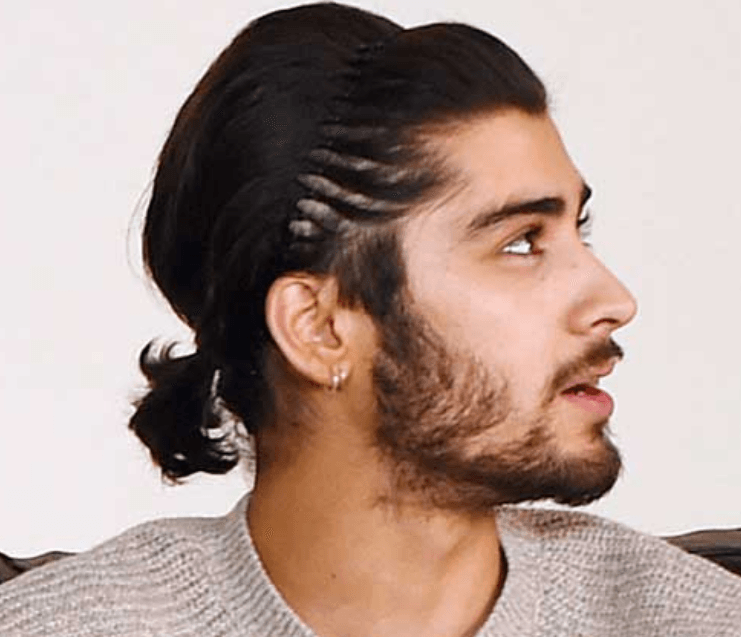 This is also one of the best ponytail styles for men that can draw a lot of attention. 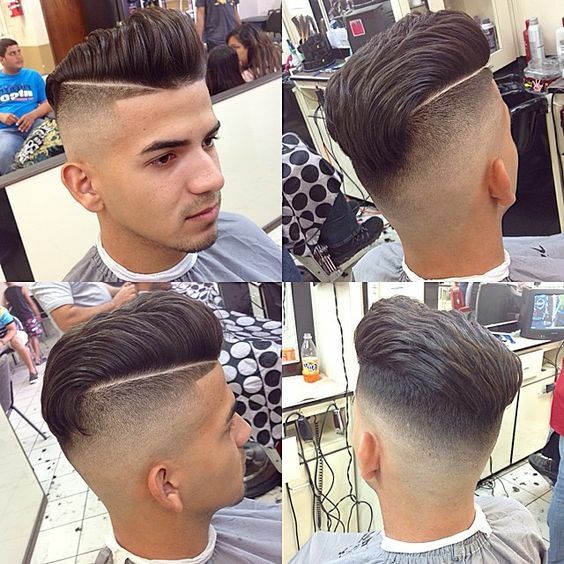 You can also rock with this style by having a razor cut on both sides of your head. Allow your top hair and back to grow long and dye the bottom part with light brown while the base is an ash blonde. You can achieve a bad boy appearance by collecting only half of your hair and tie them at the back. Comb the rest of your hair down and allow your beard and mustache to grow long. 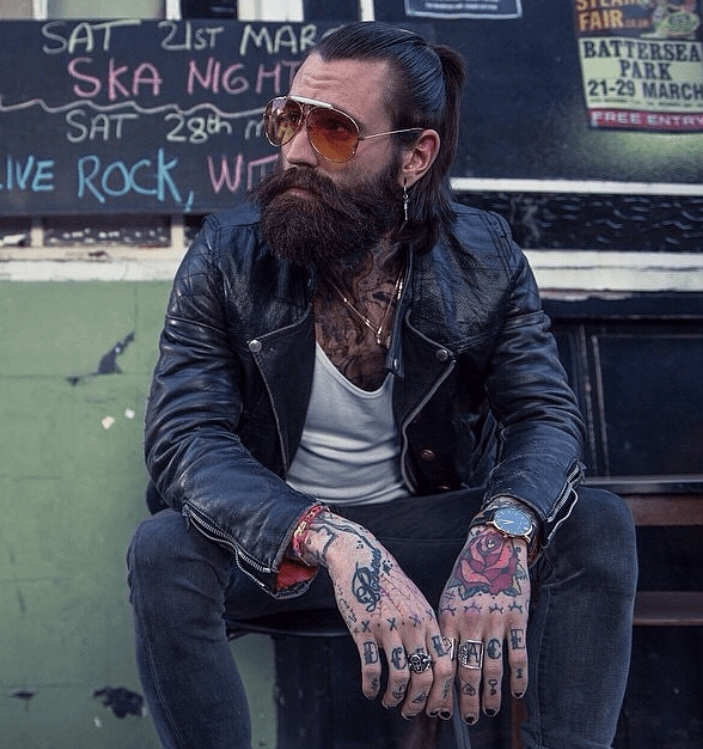 In this hairstyle, it gives more emphasis to the beard that creates a manly facial frame. This style is perfect for attending parties and other special occasions. Another cool style that might give you some inspiration for your next formal event or special occasion is the Baby Ponytail. If you have medium-hair length, you can secure them tight to create a baby ponytail. In this photo, the hair has brown roots blended into blonde tips that have been collected into a loose ponytail. If you have a lot of dedicated time for your hair, you might as well want to try the braided ponytail style. To achieve this, simply have your hair divided into square sections and create braids. Pull those braids to your back and tie them, allowing some of the braids in front to fall on both sides of your head. 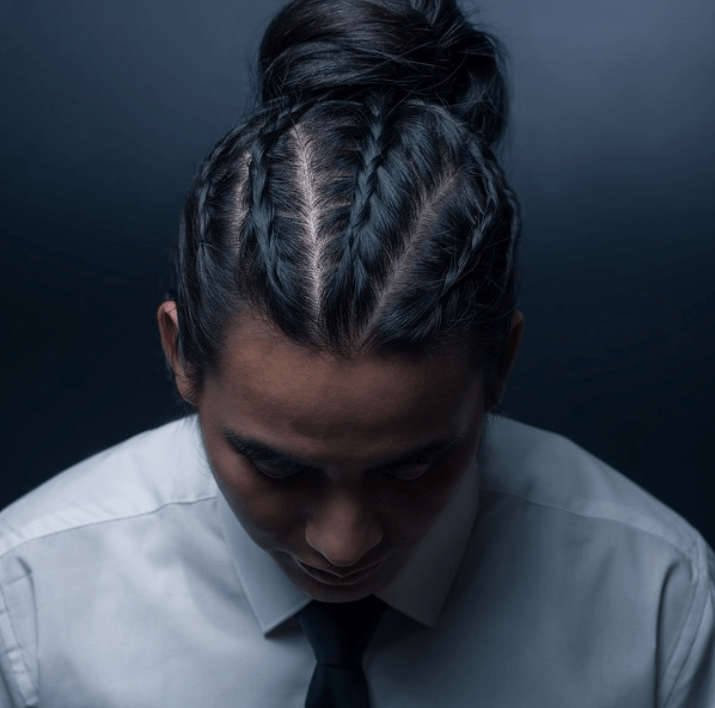 The French braid design is one of the best ponytail styles for men. This style may look complicated but it does not take a lot of time to pull this off. The hair on top has been pulled and tied in a ponytail. 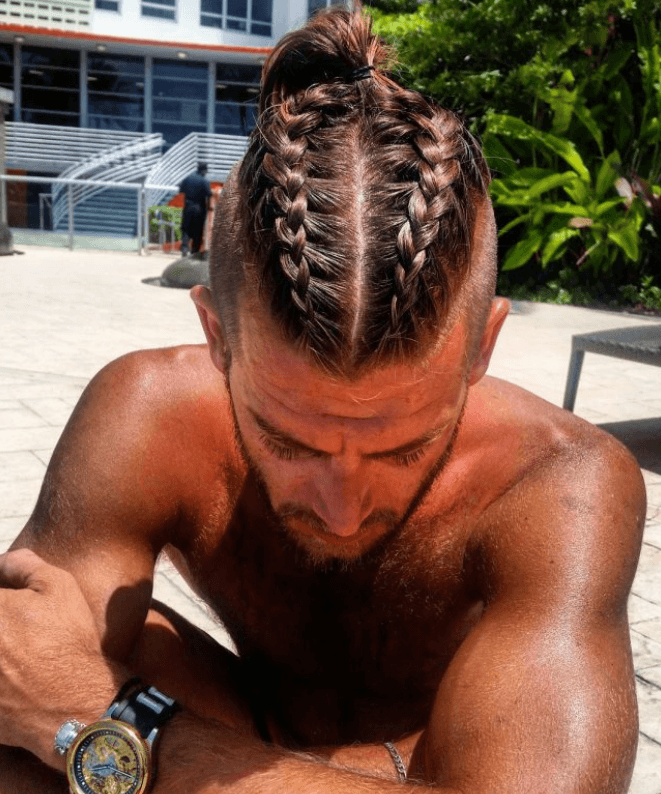 The rest of the hair below are divided into sections and braided for additional effects to this style. 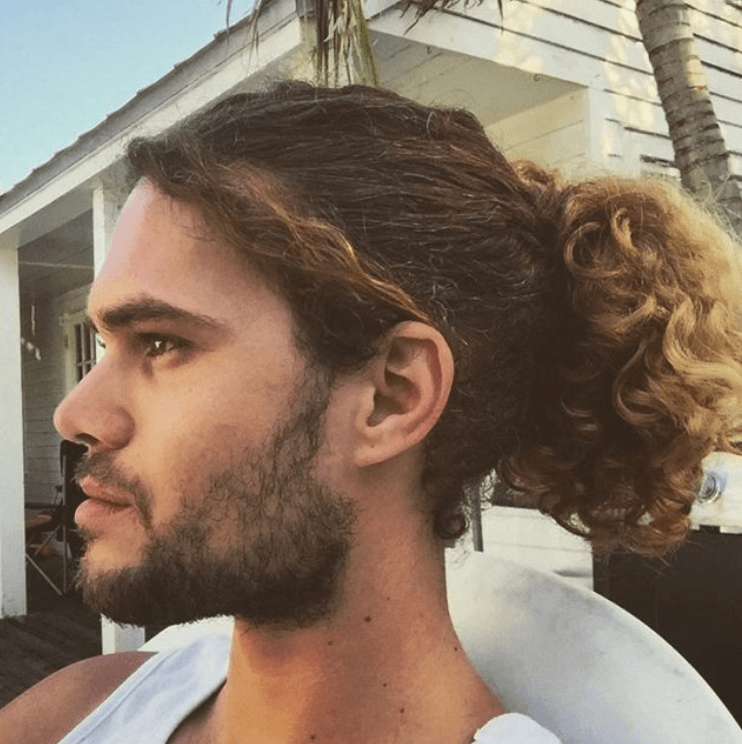 Men with natural curls can try this attention grabbing voluminous ponytail. The natural texture already creates a head turner effect. Simply pull all your hair and tie them at the back to keep your face free from those strands. This allows you to focus on your physical activities while feeling fresh at all times. 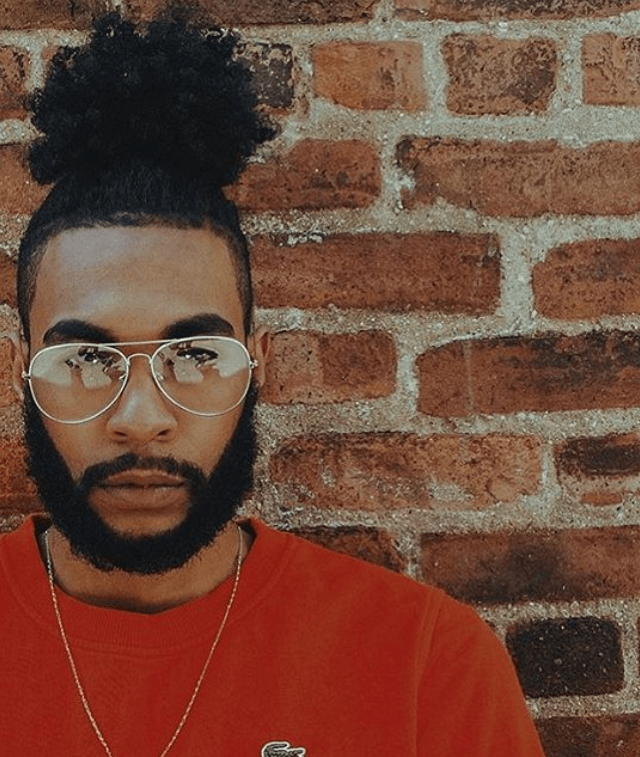 Another great hairstyle for men with thick and natural curls is the Springy Top Pony. Pulling your hair on top and creating a bun gives additional depth, volume and texture to your appearance. 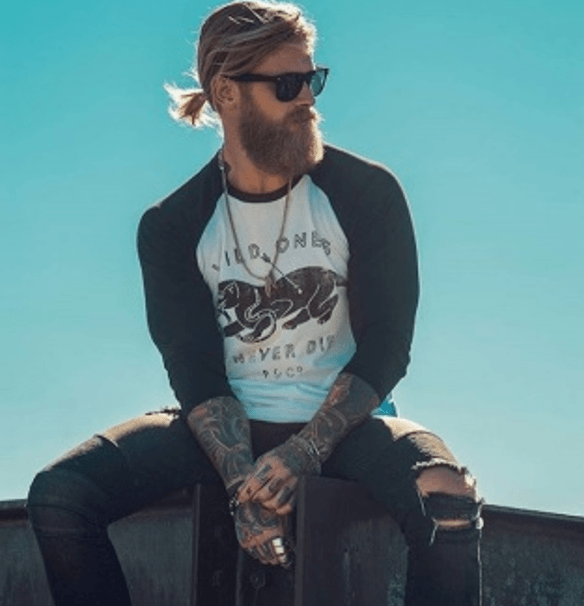 You can also partner it with beard to continue your awesome hairstyle on the lower part of your face. This style is great not only for parties but also for formal events and special occasions. If you have very long hair, you can let your natural waves do the style for you. Simply collect all your hair together and tie them in a low ponytail to achieve this style. The combed and sleek hair on top gives out authority while the touchable locks at the back provide a gentle appearance. If you are looking for a modern ponytail hairstyle, you might want to try this trendy up-do that will surely turn all heads towards you. 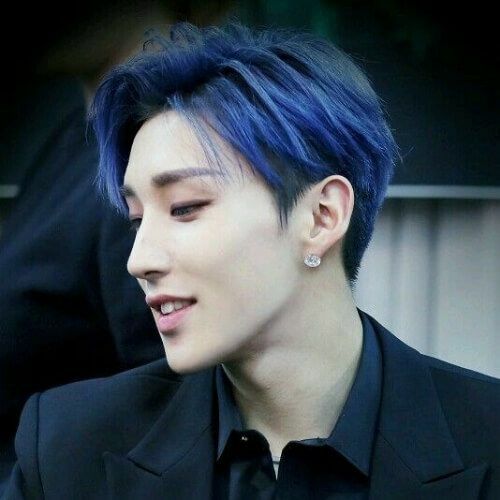 There is no need to search for the secret to get this hairstyle. Simply brush your hair up and curl it over into a stylish ponytail or bun. 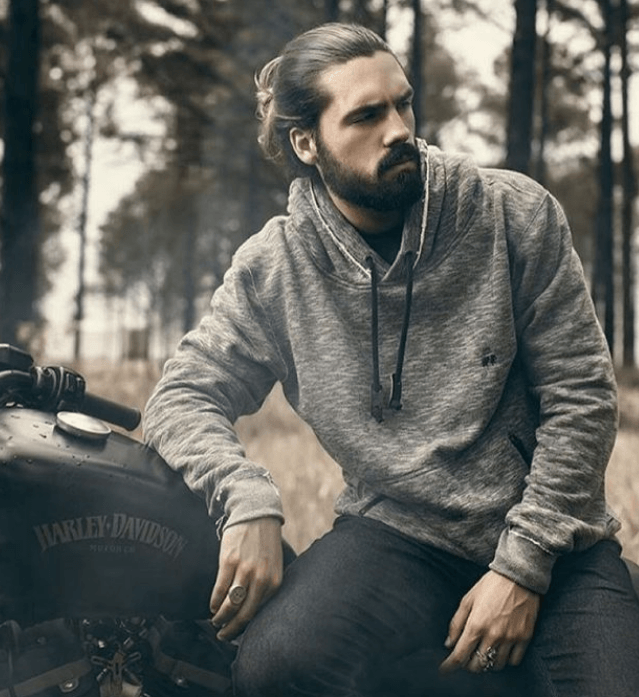 This looks even better in different hues of brown for a manly and smooth appearance. 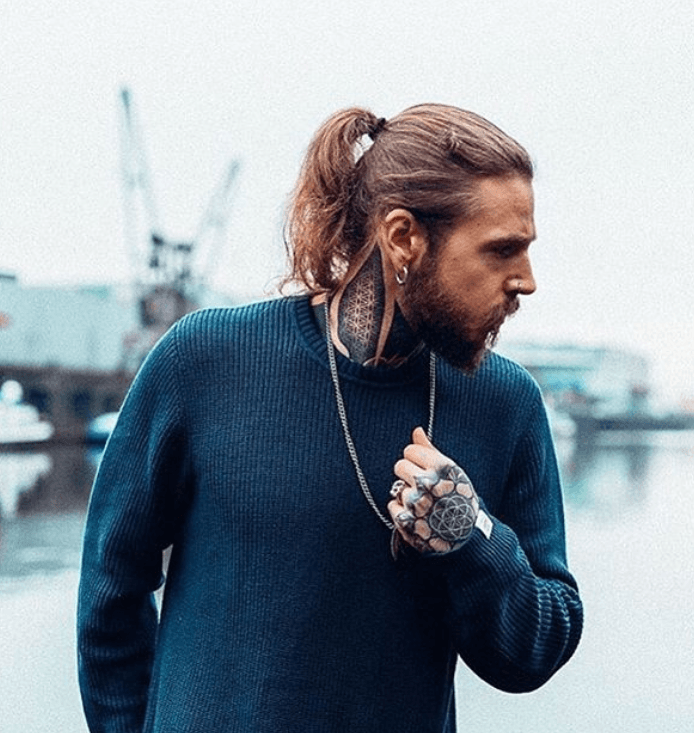 Here is another inspiring hairstyle for men with very long hair. In this style, both sides have been razor cut. The hair on top and back were pulled to the top and tied in a ponytail. This gorgeous colored dark to light locks have been collected at the nape and tied into a loose ponytail. This allows the blonde dyed hair to descent gently at the back. This hairstyle is perfect for almost anywhere. You can rock with this hairstyle not only at the beach but also in formal gatherings. The side undercut is one of the popular ponytail styles for men, where both sides and the back are undercut. The hair on top is long enough to be combed neatly and tied in a ponytail. 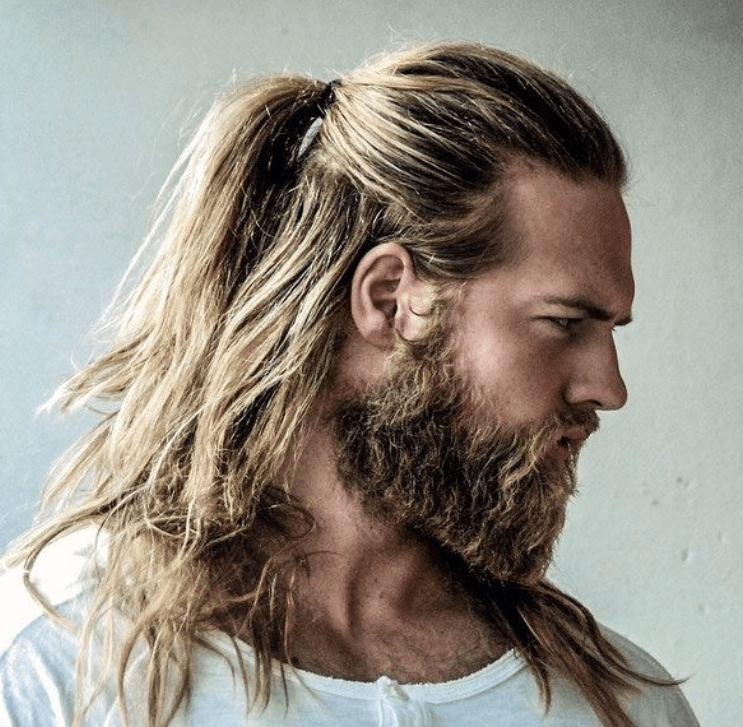 This hairstyle is also goes perfectly with medium-length beard. 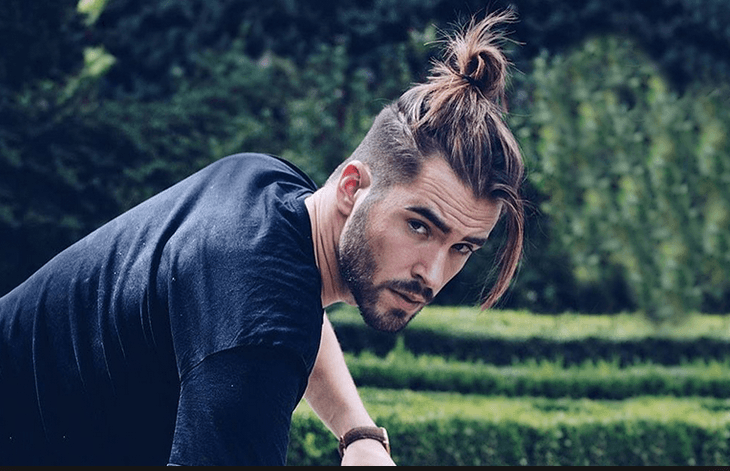 When it comes to cool hairstyles for men, you can never go wrong with ponytail with bangs. In this style, the hair is cut to medium length and pulled to the back to form a ponytail. The other sections are wavy and messy, with bangs descending on one side of the head. This hairstyle looks clever and cool. Here is another stunning ponytail style that many women would be attracted to. 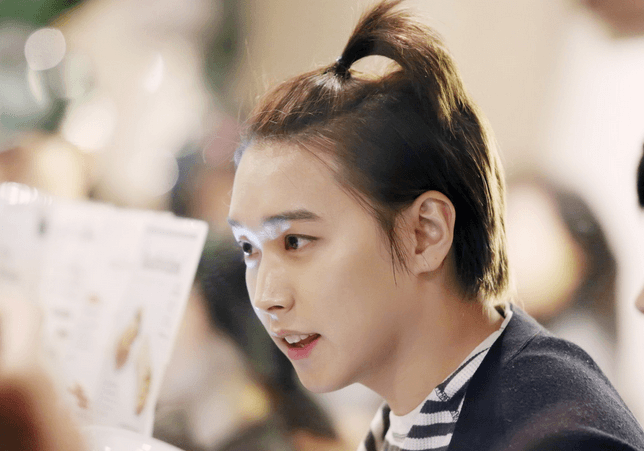 The low ponytail with headband suits perfectly with men having dark hair. You can copy this hairstyle by making a low ponytail and wear a headband. You can easily copy this amazing hairstyle by keeping your hair long enough so you can gather it at the top. Some hairs from the neck are also secured to unite at the top. This style is suitable for those with dark, straight hair. 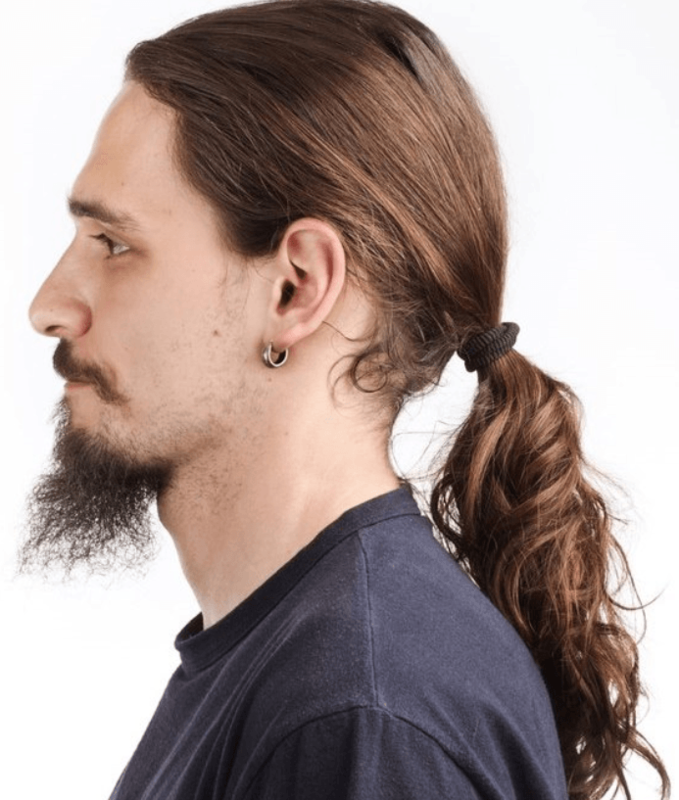 This is one of the basic ponytail styles for men that you can easily do if you are in a hurry. This is a great choice for those who are looking for a low maintenance haircut and still want to pull off a stylish appearance. The hair is cut to medium length and tied with a knot. The Low and Messy ponytail style is made of medium hair length. The hair is pulled and styled in a low ponytail while some loose strands fall at the sides of the face for a messy appearance. 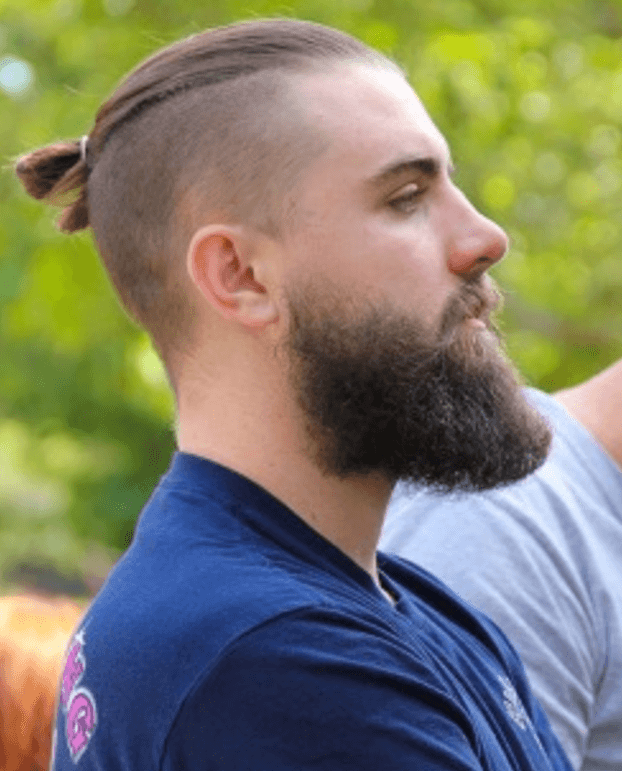 This hairstyle can also be coupled with some medium length beard.